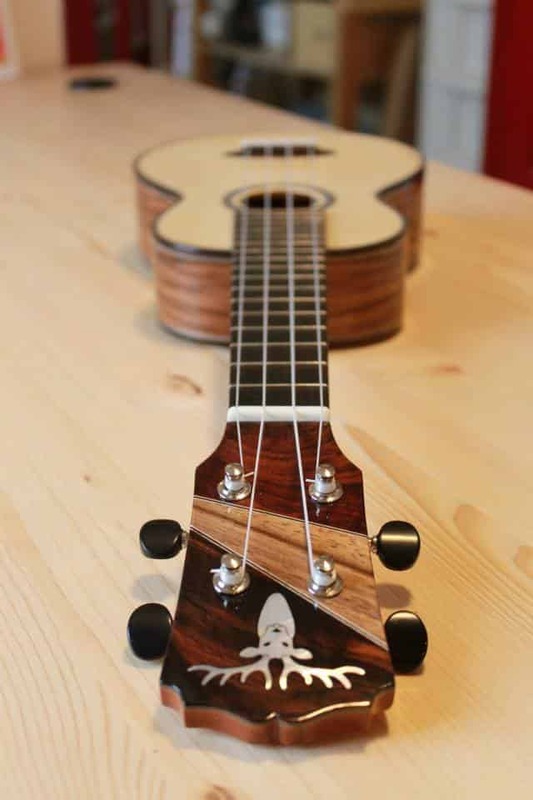 Born from the merging of two portuguese instruments – the braguinha and the rajao – in Hawaii in the middle of the XIX century, ukulele got instant success and quickly drawn the attention of musicians all over the world. 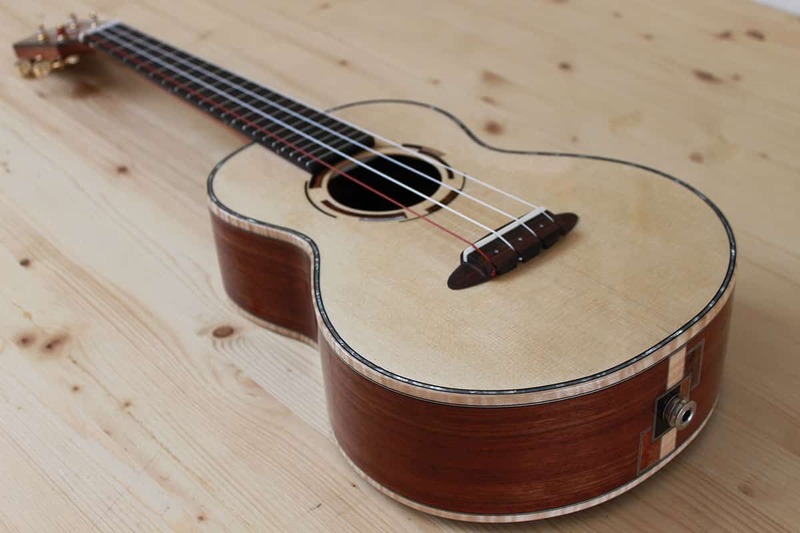 Universally recognized as a symbol of the Hawaii islands it actually owes its success to american and british players, whom played it on their records, and to the american companies that started to market it at affordable prices. 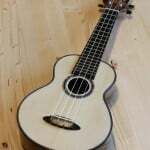 Liuteria Guarnieri ukuleles are designed to obtain a full sound without giving up on the classic tinkling uke-tone.The lower bout has been designed to increase sound projection, while the deeper body enhances the lower frequencies. 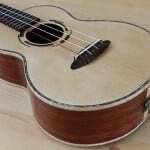 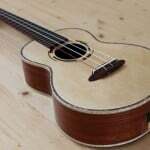 Available in three different scale length, our ukuleles are fully customizable. 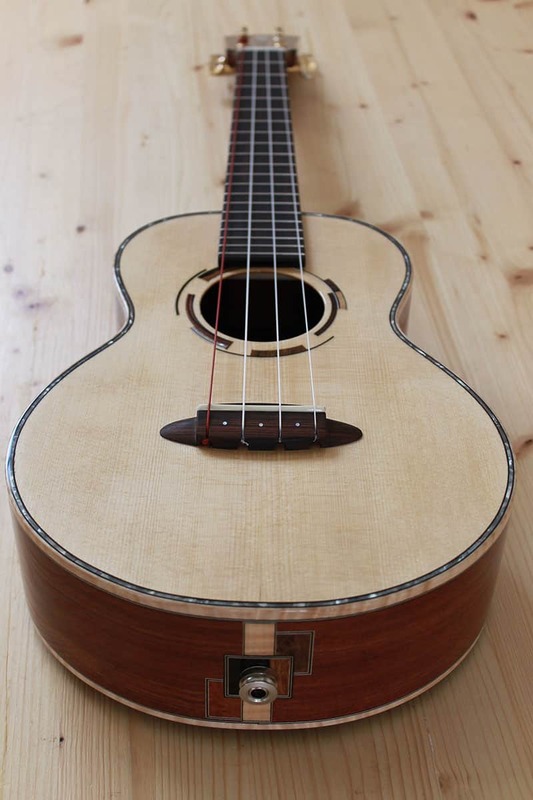 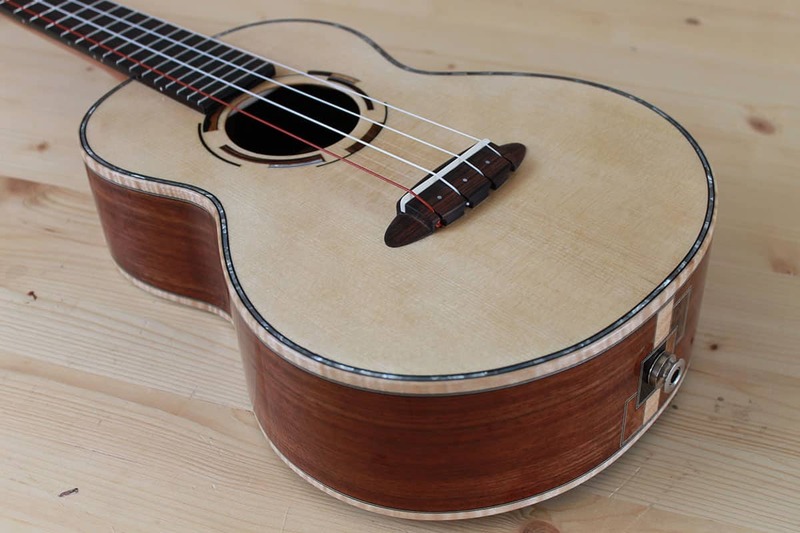 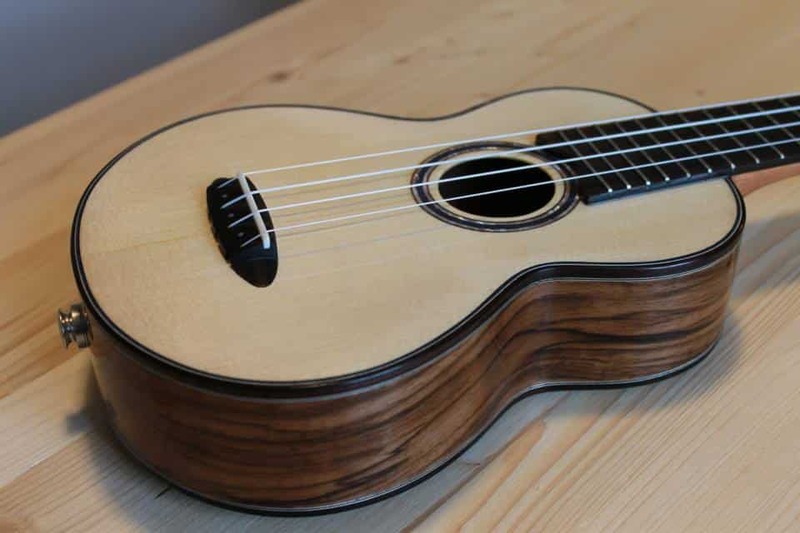 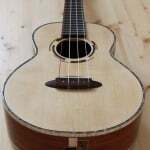 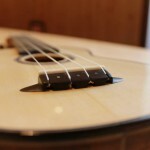 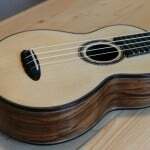 With a scale length of 13″ (33cm) this is the most traditional ukulele: tinkling tone, small size. 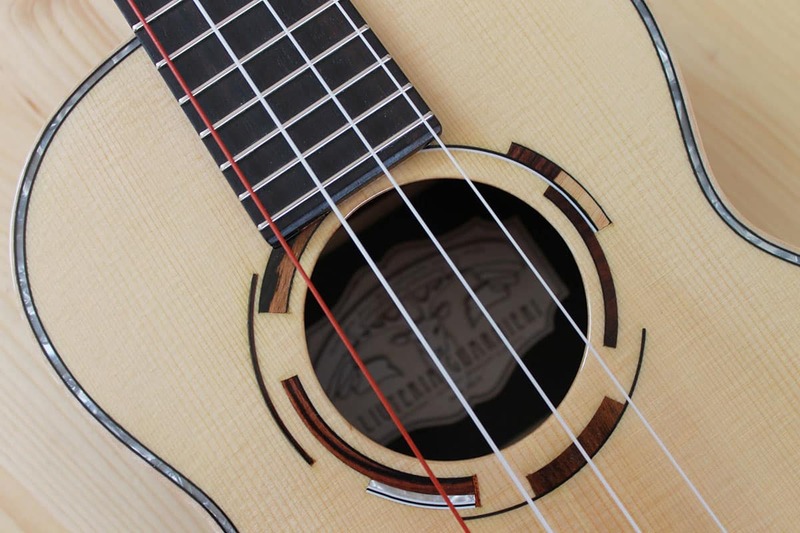 A 15″ (38cm) scale length makes for a slightly wider fretting and a bigger body. 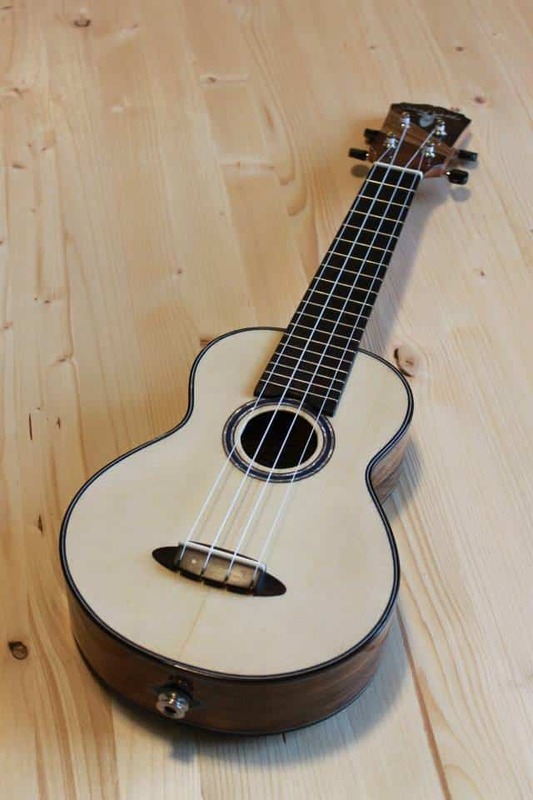 17″ (43cm) scale length: it rapresents the perfect compromise for the guitar player who wants to approach the ukulele without going too far from the scale length he or she is comfortable with. 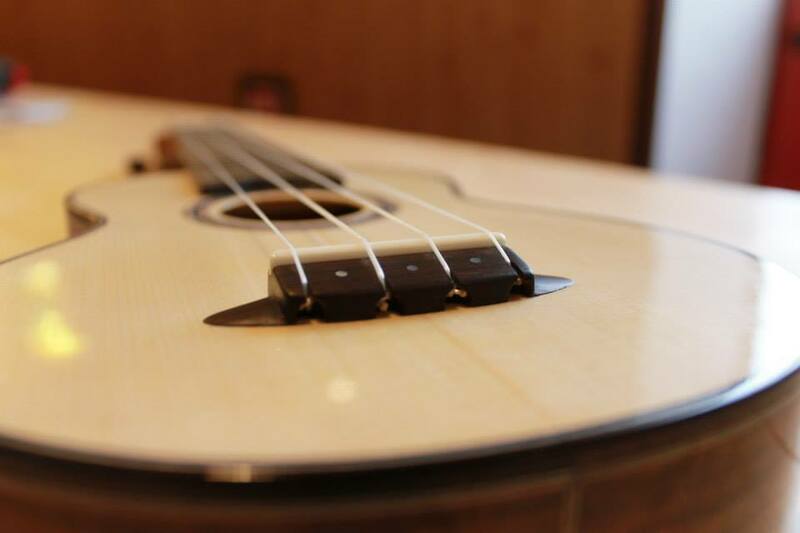 It offers a great range of sounds and a really good volume while remaining really portable. 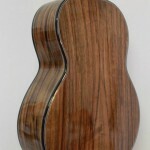 The tonal, aesthetic and functional features can be discussed for any custom order. 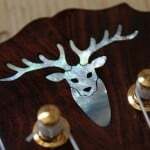 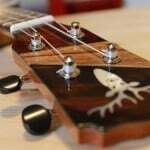 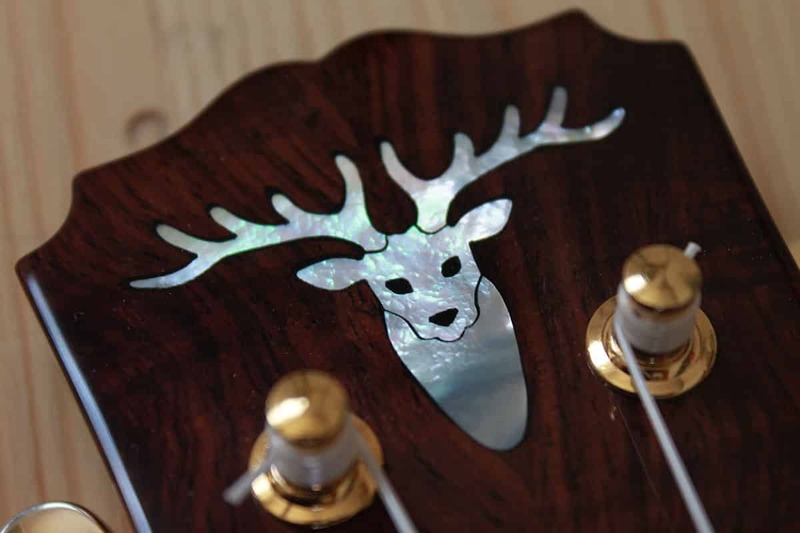 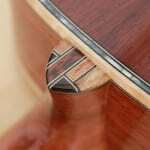 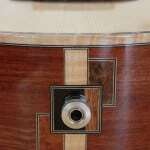 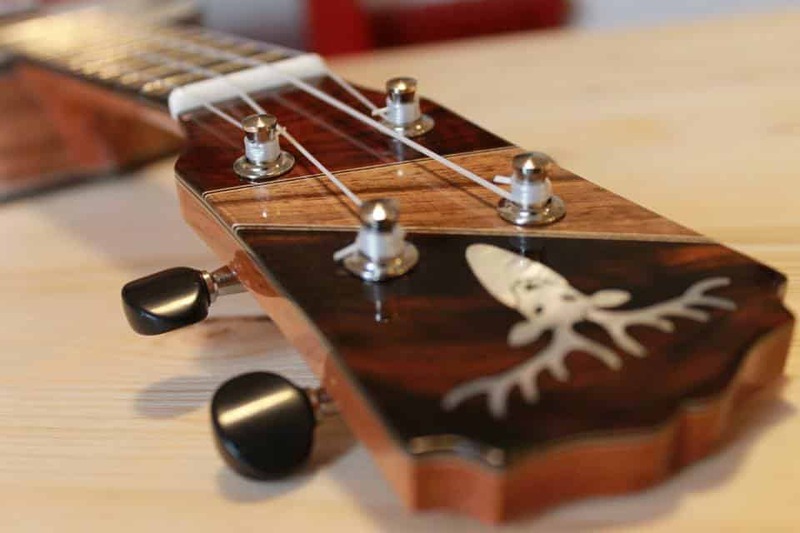 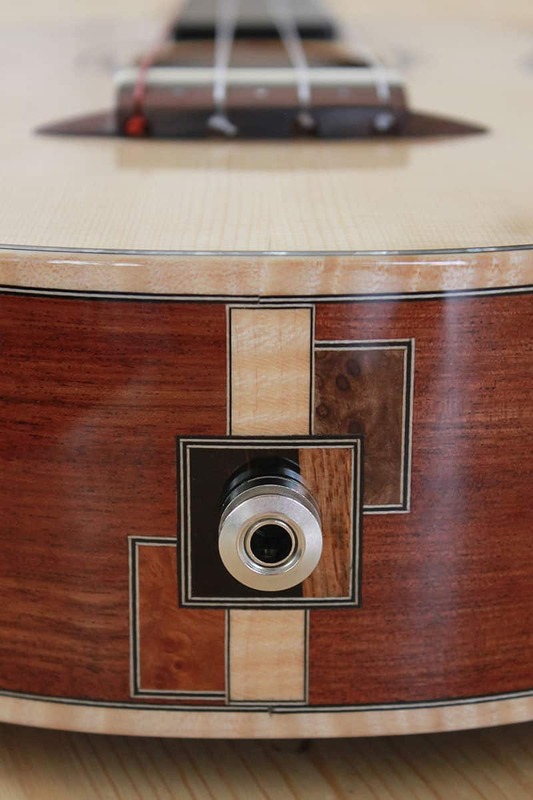 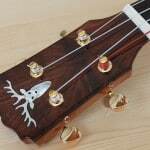 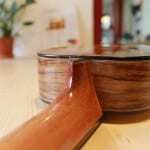 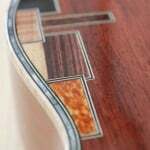 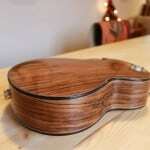 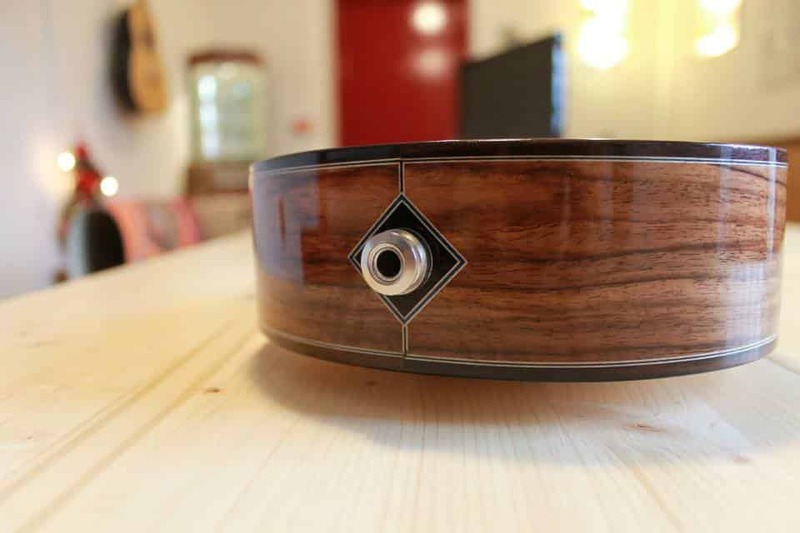 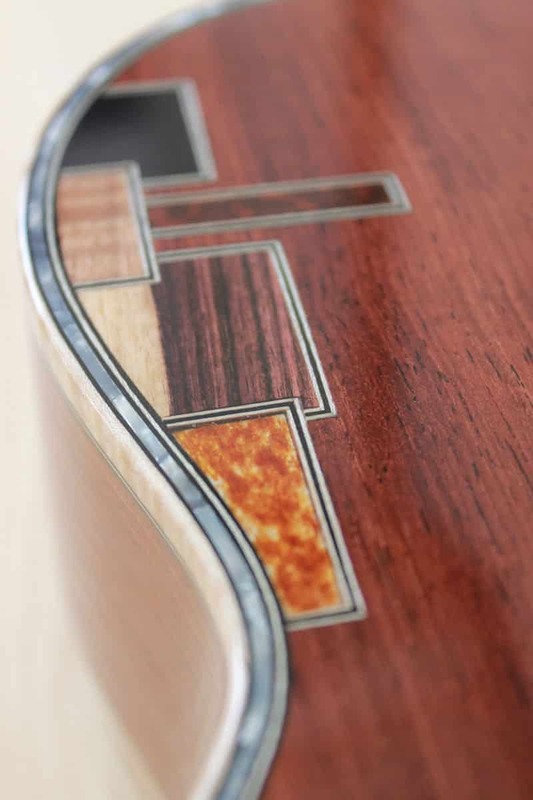 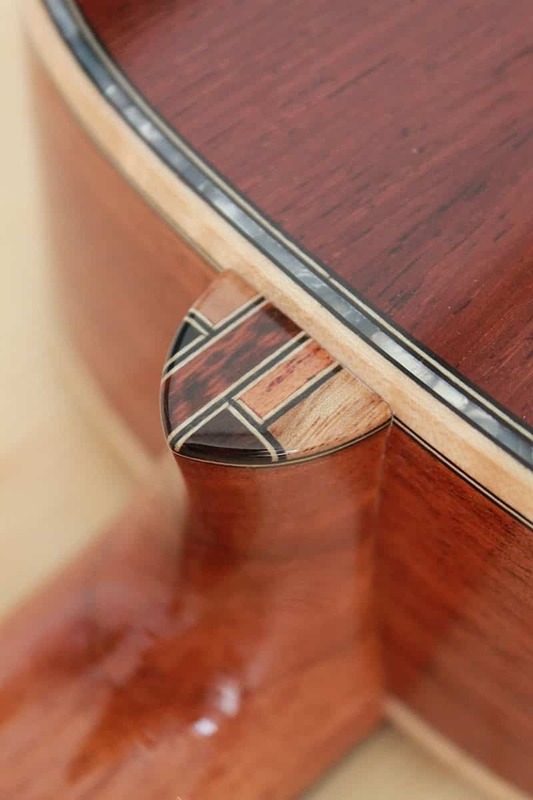 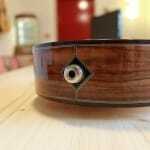 Every detail is important to get YOUR OWN Liuteria Guarnieri ukulele. 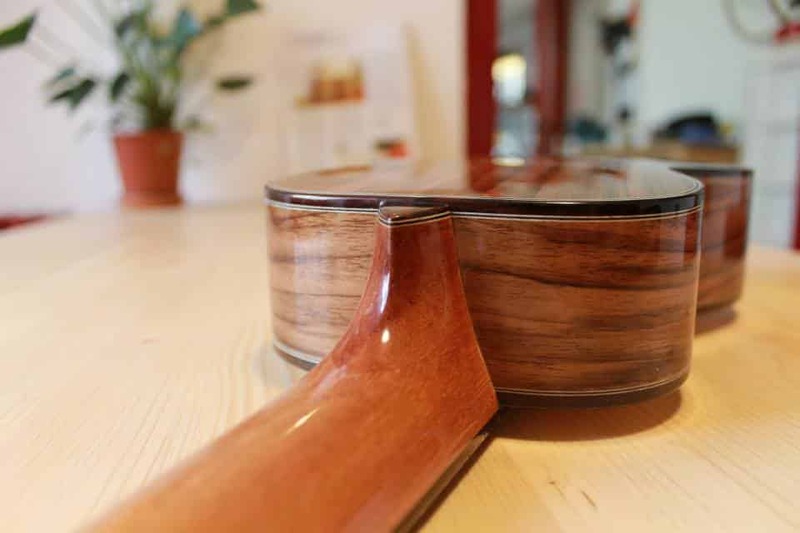 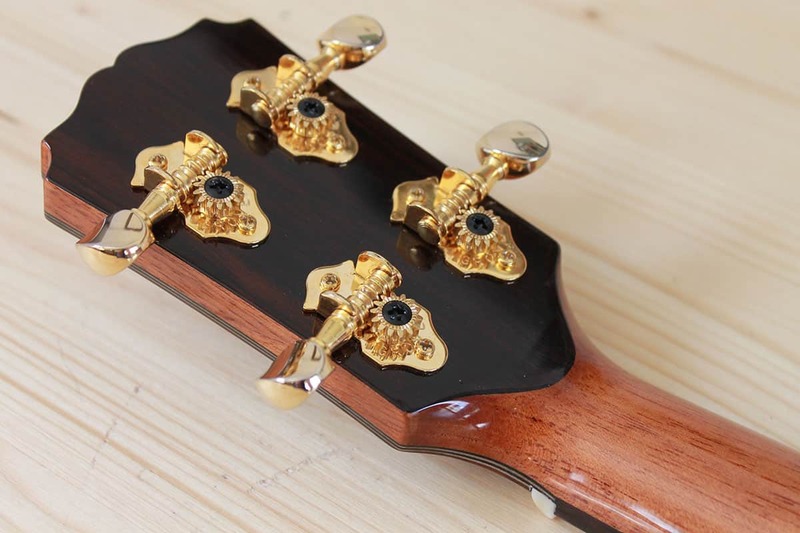 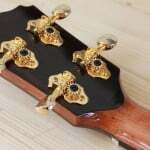 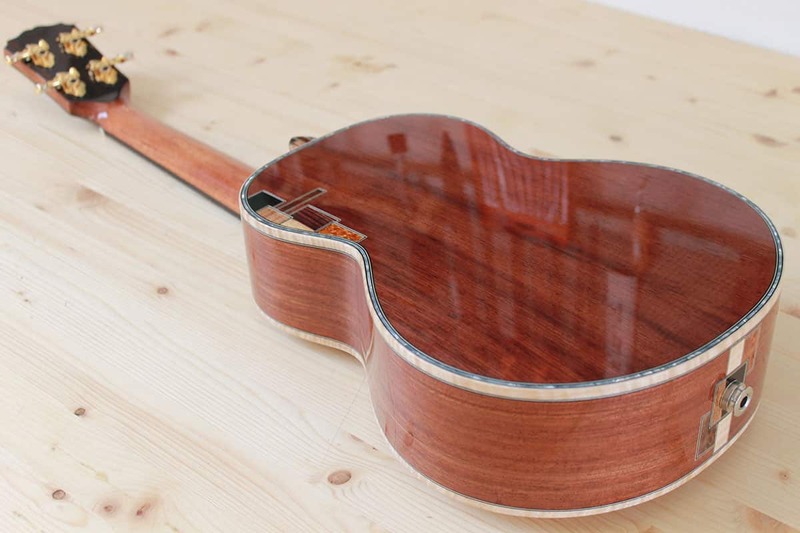 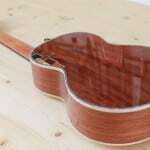 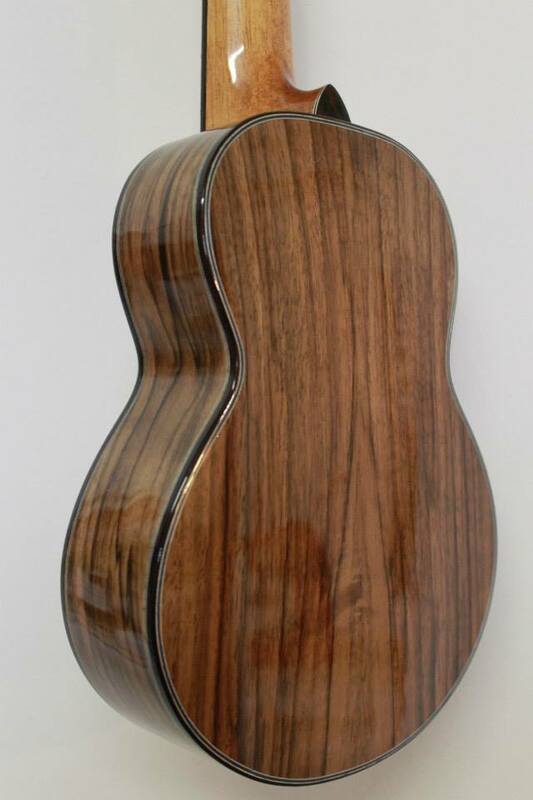 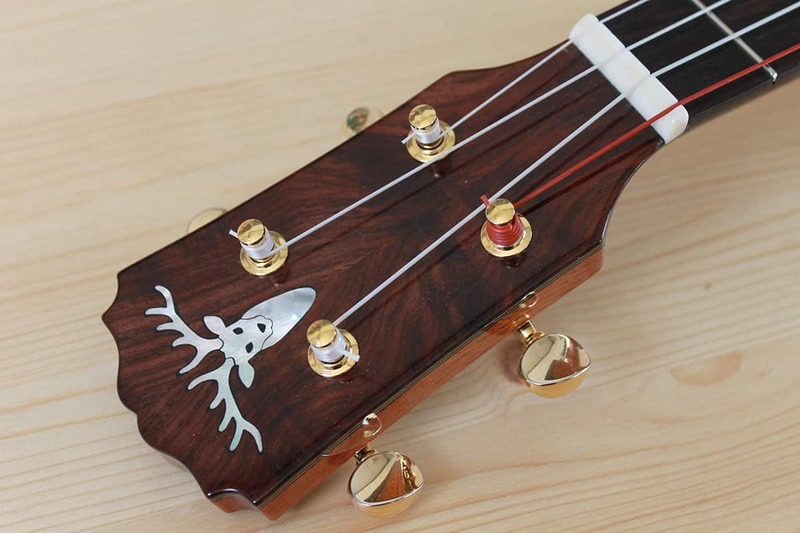 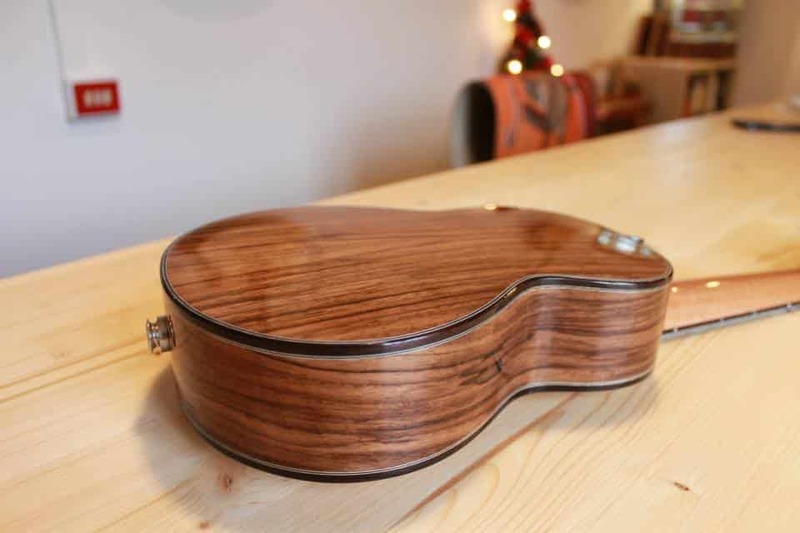 Materials, neck shape, scale length, aestetics: each of these elements is discussed with the customer based on the musician’s characteristics in order to get a tailor-made instrument.